Yesterday I visited Hampton Court Flower Show press day as the guest of Zoflora. I was given exclusive access to the show before it opens to the public today, and treated to a hands-on experience of the Zoflora ‘Outstanding Natural Beauty’ Show garden, and a preview of their new fragrance, ‘Green Valley’. What a great start to the week! 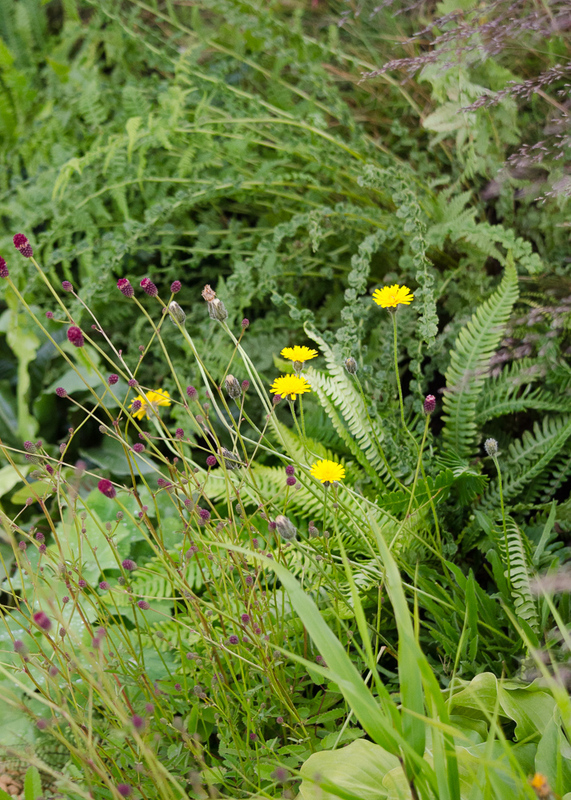 Zoflora are sponsoring a show garden at Hampton Court for the first time this year. 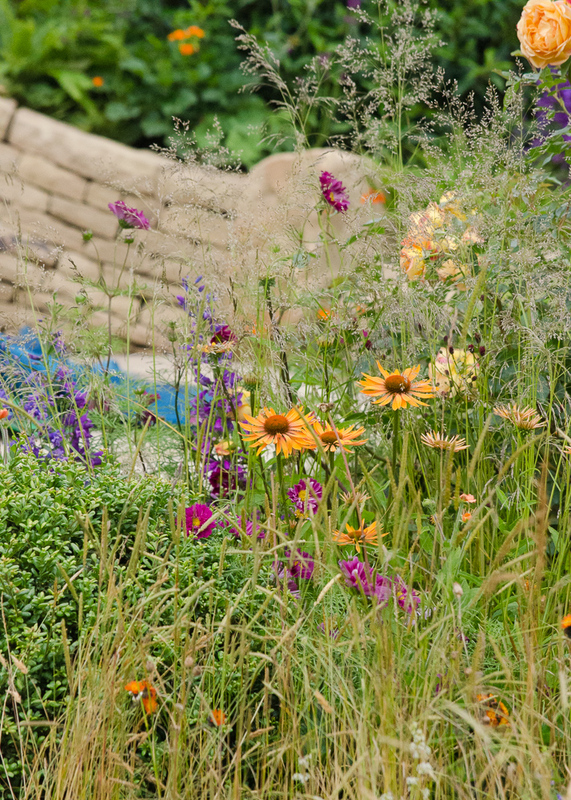 Zoflora are very proud of their Yorkshire heritage (the product is manufactured in Huddersfield), and their show garden is themed around the rolling countryside of this beautiful county, much of which is designated ‘Areas of Outstanding Natural Beauty’. My first impression of the garden was simply ‘wow’; it literally stopped me in my tracks. There’s so much to feast your eyes on, but at the same time the garden has a real flow and a sense of calm. 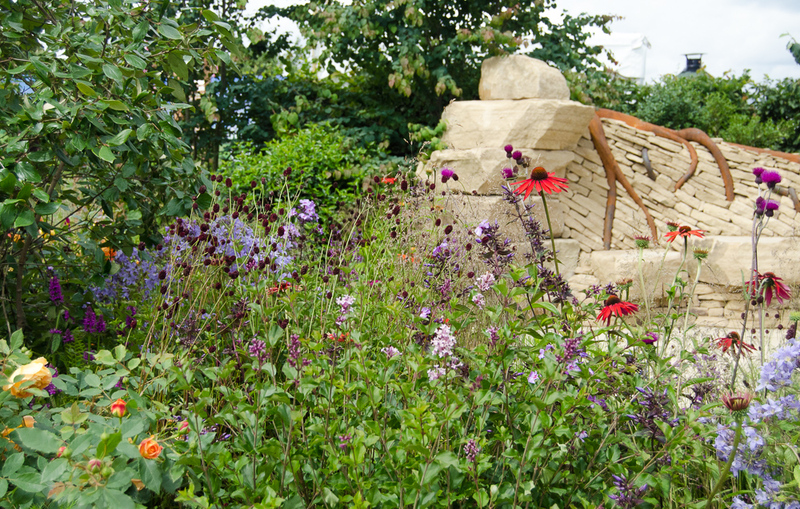 Award-winning garden designer Helen Elks-Smith has incorporated key elements of Yorkshire’s landscape within the design. There’s a drystone wall and a curving stream, and the county’s hills and dales are reflected in gentle undulations throughout the garden. There’s also a wildflower meadow, woodland plants, hedging, and a terraced seating area. 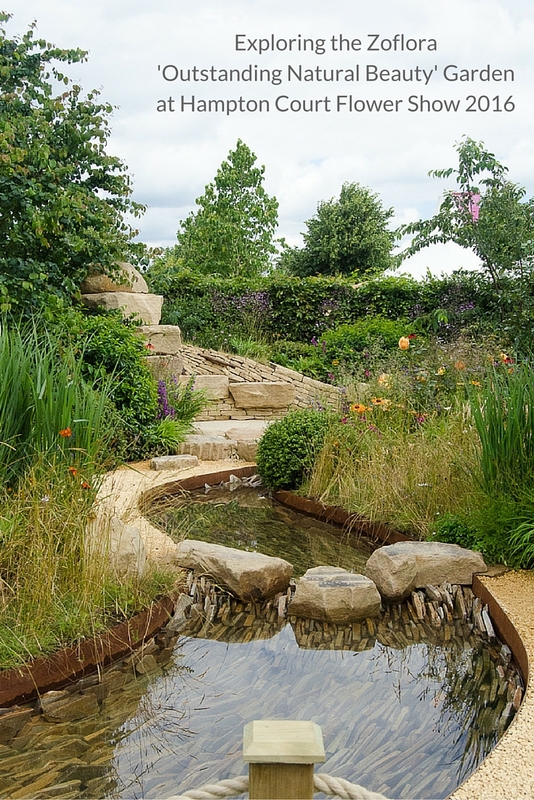 All these elements are cleverly pulled together by a stream which flows gently through the garden. I love this little terrace; it’s the perfect sheltered spot for enjoying the rest of the garden, and provides a real focal point. The curved drystone wall has weathered steel set into it, representing tree roots that have fractured the stone, and they really do make you feel like the whole thing has been there forever. And then there are the plants. I was absolutely in my element here; there’s so much texture, colour and attention to detail, creating the overall effect of being right in the middle of nature. 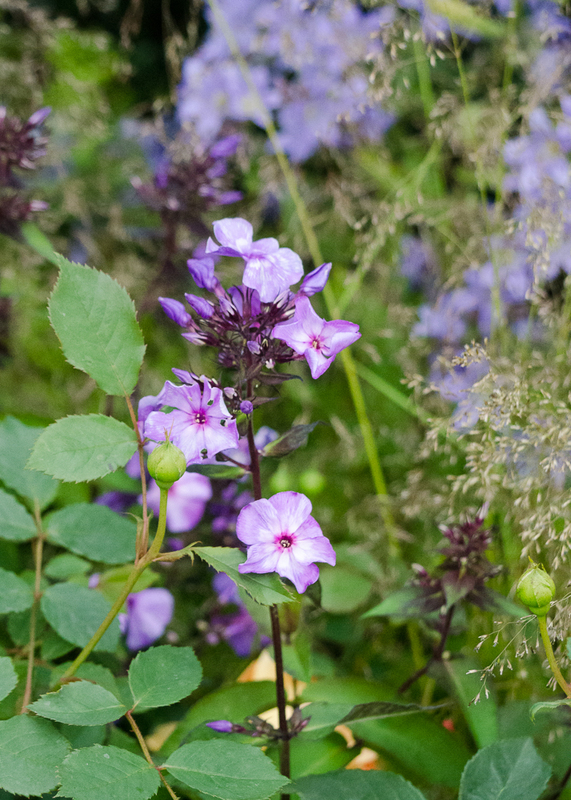 Helen Elks-Smith has chosen shrubs and trees that will provide fragrance throughout the year. I love this idea; for a few years now I’ve been trying to add plants into my garden that will give year-round interest, and I got so much inspiration here. 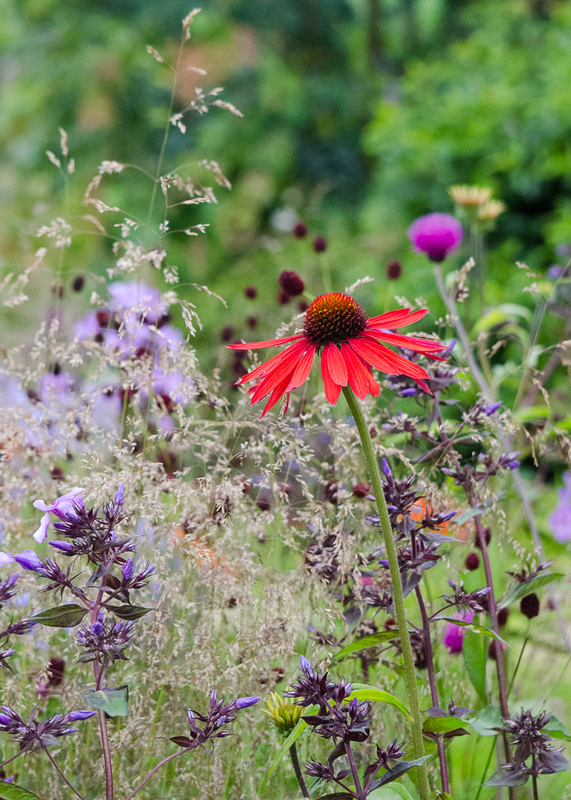 Not all the plants are in flower right now, but an abundance of Summer-flowering perennials means there’s plenty of colour to enjoy. I think including plants for year-round interest makes this garden so much more like a ‘real’ garden, where you would most definitely have plants that perform at different times of the year. In addition to all the fabulous plants, the garden was also host to some rather colourful characters on press day. Zoflora has teamed up with second year students from the ‘Costume with Textiles’ course at the University of Huddersfield. The students were challenged to create an eye-catching costume that includes key elements of the garden, the county, and the new Green Valley fragrance. 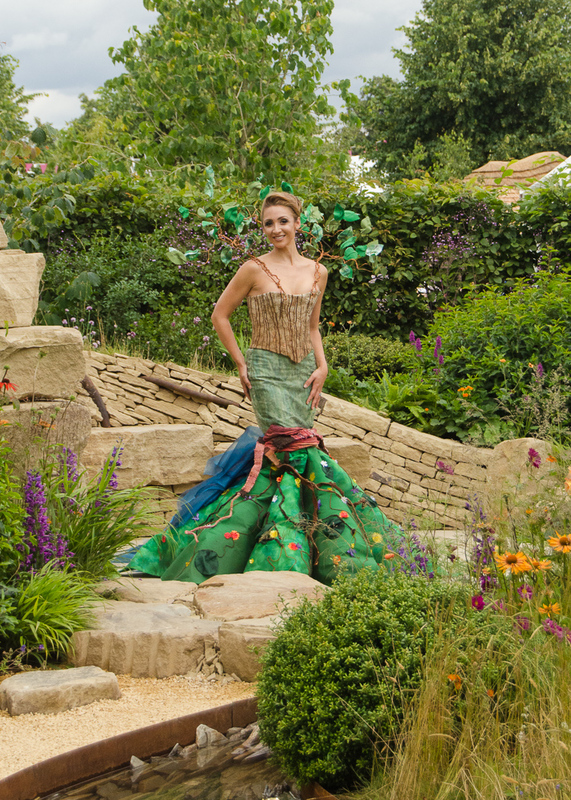 Three unique costumes have been created to appear at the show, and Yorkshire actress Lucy-Jo Hudson was modelling one of them. The students who designed Lucy-Jo’s dress told me they had two days to make it – what an amazing achievement! To coincide with their Hampton Court show garden, Zoflora are also launching new limited edition fragrance ‘Green Valley’, which is also inspired by Yorkshire’s beautiful landscape. Zoflora concentrated disinfectant can be used all over the home and kills 99.9% of bacteria and viruses, helping to protect the family and pets from germs. The Zoflora range features 16 fragrances, each inspired by nature and developed by expert perfumers. Zoflora contains much higher levels of perfume than other household products too; so while it’s doing a great job of killing germs, it’s also eliminating odours and leaving your home fragrantly fresh. The new Green Valley fragrance is fresh and floral, with elements of crisp green leaves, clean ozonic notes and wildflowers. It smells gorgeous, and not at all like a disinfectant. 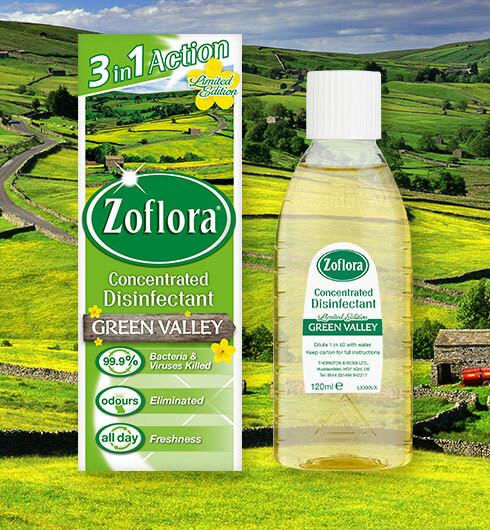 Zoflora Green Valley retails at £1.45 and will be available in Sainsburys, Morrisons, Tesco and Asda from the end of July. You can find more details on the Zoflora range here. I had such a great day at Hampton Court Flower Show, and I absolutely love the Zoflora ‘Outstanding Natural Beauty’ garden. 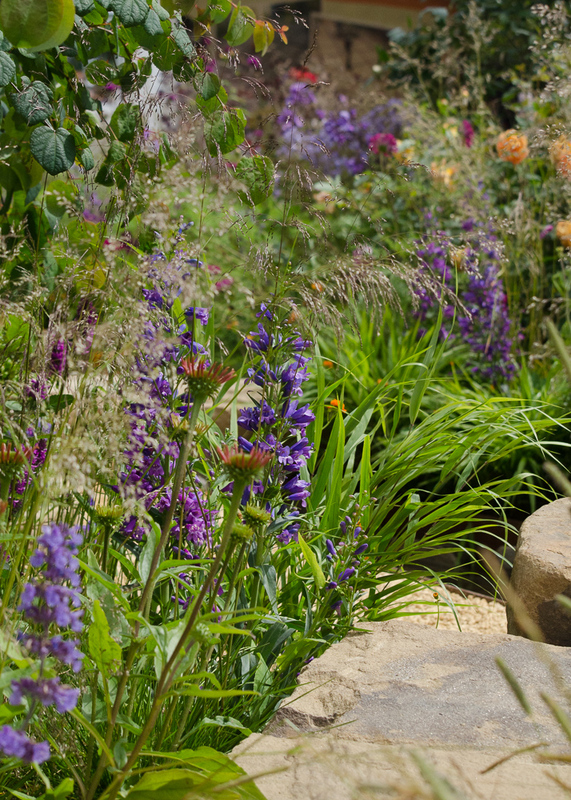 It has so much character and texture, the planting is beautiful, and the fact that it’s inspired by nature makes it a very calming space too. I think the designer has done a fantastic job of representing the beautiful Yorkshire landscape, and created a little piece of Yorkshire in the heart of the South. 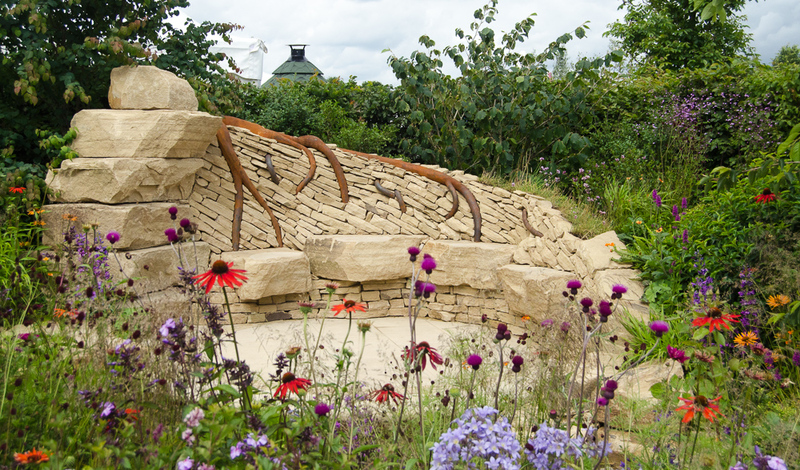 The judges loved the garden too – it was awarded a Gold Medal! If you can’t make it to Hampton Court this week, you can take a virtual tour of the Zoflora garden here. 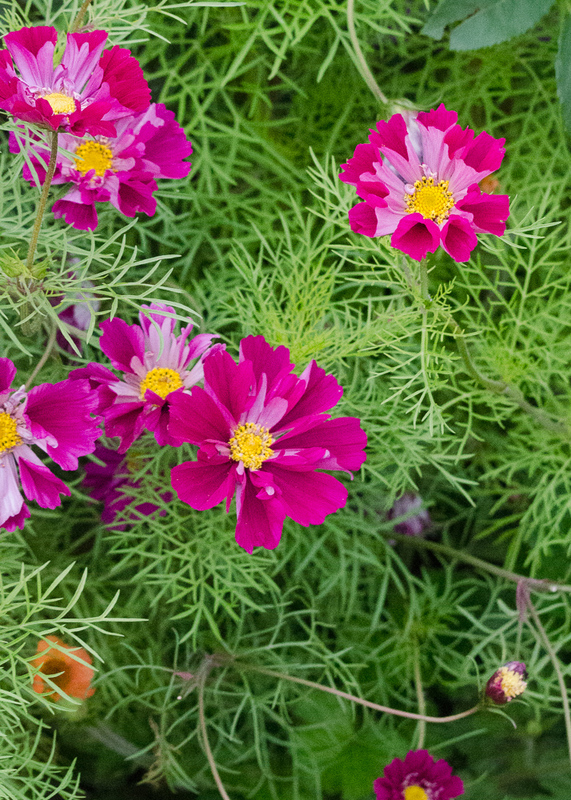 Hampton Court Flower Show is open to the public from 5th-10th July; you can find more details about the show here. What do you think of the Zoflora garden? Could you take inspiration from it for your own outdoor space? Let me know in the comments. 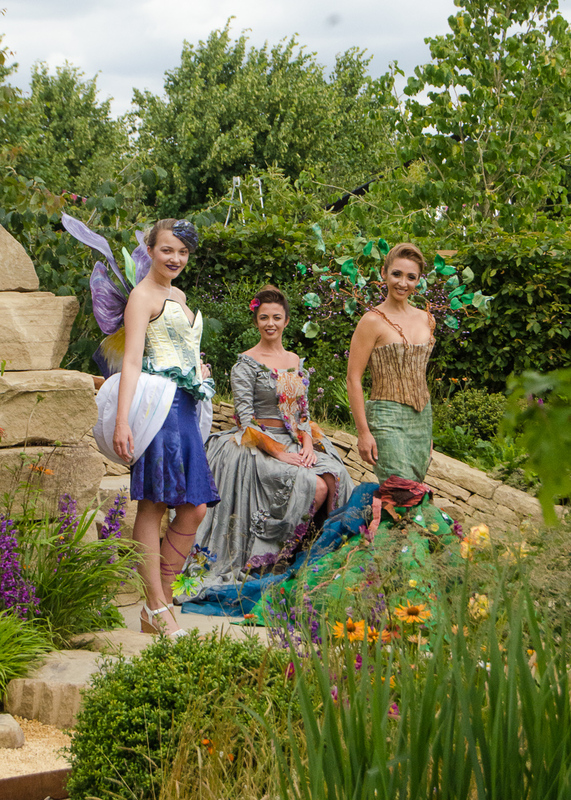 I attended the Hampton Court Flower Show press day as a guest of Zoflora. All comments and opinions are honest and genuine.